Hospice Vaughan is pleased to announce the appointment of Dr. Vincent Maida as the Medical Director of their soon-to-be-built 10-bed residential facility and Centre of Excellence for Hospice and Palliative Care. Currently under construction, and scheduled to open in 2019, the facility will include a 10-bed residential hospice, family support and bereavement services, and visiting hospice services; and will serve as a community hub that will support research, education and knowledge translation of palliative care best practices. Dr. Maida is a consultant in Palliative Medicine and Wound Management at the William Osler Health System in Toronto, where he created its first ever palliative care unit in 1997 and served as its founding Medical Director. He has been a pioneer in developing palliative care services in York region and served as chief Palliative Care consultant between 2000 and 2004. Dr. Maida created Vaughan’s first ever home-visiting palliative medicine service. Dr. Maida has also been serving as a member of the Hospice Vaughan Board of Directors since 2012. Throughout his tenure, he has been an incredible contributor, supporter, educator, and leader for all members of the Hospice Vaughan community. Dr. Maida holds the passionate belief that “everyone deserves three things: a good birth, a good life, and a good death”. He cites the building of a Centre of Excellence for Hospice and Palliative Care, with 10 residential beds for the City of Vaughan, as his prime professional objective. “High quality and accessible end-of-life care is a fundamental human right for all citizens. Residential Hospices are a CORE piece of healthcare infrastructure, without which any healthcare system cannot be considered truly comprehensive. 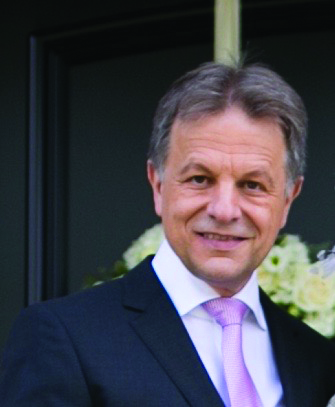 I am honoured and thrilled to be taking on this role at the new Hospice Vaughan facility which will allow us to rise to the challenge of meeting our community’s growing needs by tending to the whole person and their loved ones, and by leveraging education, research and training so all can have a healthier approach to death and dying.“ – Dr. Maida. Dr. Maida received his MD from the University of Toronto in 1982. He completed his MSc in Wound Management in 2010, his Clinical Medical Teachers Certificate in 2011, and his certificate in Patient Safety and Quality Improvement in 2014, all at the University of Toronto. Dr. Maida has been a diplomate of the American Board of Hospice and Palliative Medicine (ABHPM) since 1999. In December 2015, he was awarded a certificate of added competency in Palliative Care from the College of Family Physicians of Canada. Dr. Maida was promoted to Associate Professor, University of Toronto, Division of Palliative Care after the minimum five years from his junior promotion. He also serves as an Assistant Clinical Professor at the Michael G. DeGroote School of Medicine, McMaster University, Hamilton, Ontario. He has lectured on topics within palliative medicine and wound management on five continents, 15 countries and over 50 cities. Dr. Maida is an active researcher with particular interests in pain and symptom management, wound management, prognosis, and medical education. Over the past decade, he has written chapters in 4 medical textbooks, and published over 35 original research papers, all of which have been cited internationally over 500 times. He has also created numerous original conceptual and therapeutic innovations in Palliative Medicine and Wound Management. Dr. Maida was awarded the Queen Elizabeth II Golden Jubilee medal in 2002, and the Queen Elizabeth II Diamond Jubilee medal in 2012 for his work in Palliative Care and Wound Management, and overall contributions to Canadian society. He was also the first ever winner of the William Osler Award of Excellence in 2001, as well as the first doctor at William Osler Health System to win it a second time in 2009. In 2007, he was also declared as one of Ontario’s “most educationally influential physicians” through a poll carried out by the Ontario College of Physicians and Surgeons. “As we grow our programs and services, we continue to be driven to ensure excellence in Hospice Palliative Care that provides dignity and comfort to those who are ill and supports their families and caregivers. We are building a cohesive team that works collaboratively with inter-professionals, community partners and volunteers to meet the needs of our community and residential programs. We are thrilled to have Dr. Maida, who is well respected locally by those he has cared for in the community for over 30 years, join our team. This new leadership role has been a significant inspiration and will allow the organization to grow. I look forward to working closely with Dr. Maida.” – Belinda Marchese, Executive Director Hospice Vaughan. “The realization of Hospice Vaughan’s dream of building a 10-bed residential hospice and Centre of Excellence is in great part due to Dr. Maida’s inspiring leadership with our Board, various community, political, and business leaders. He has earned the respect of all stakeholders within our community and created a strong understanding of the need for quality end-of-life care for all. We’re so grateful to Dr. Maida for his unwavering leadership and I am confident that with him at the helm of our medical team, the new facility will be ready to fulfill its promise for our community.” – Maria Castro, President, Board of Directors, Hospice Vaughan.